Hide away from the scorching heat of the sun and still be in the moment while walking around on St. Patrick's Day! Join the parade and the fun as the celebration goes on! 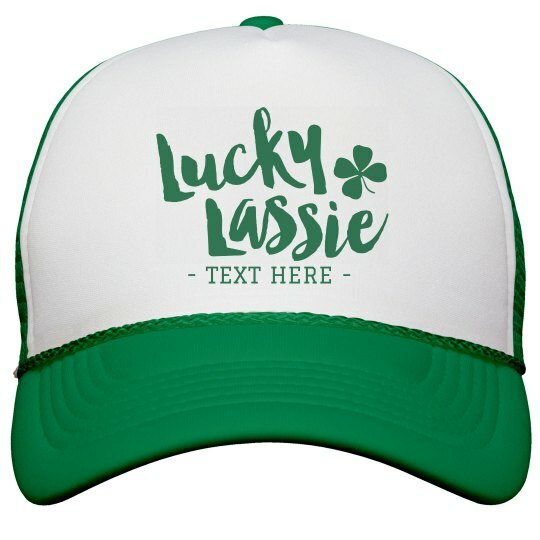 Sport this greeny Lucky Lassie hat and customize it with your name or any text that you can think of that can relate to the celebration! Get it done at our easy to use Design Center now!